Unwanted guests are never fun, especially when you can’t ask them to leave. Luckily, Midland pest control companies have no problem kicking them out. Whether there’s a rodent in your basement or insects in the attic, call your local Midland exterminator to take care of them — do not try to wrangle them out yourself! Not sure which type of home pest control service in Midland, ON can tackle your issue? Read profiles and ask about their past experiences to get a good idea. Three generations of Robertson's have been involved in animal and pest control since 1931 when our father Scott Robertson trapped his first skunk! We have over 150 years of combined experience in this industry! Choose a company that is passionate about what they do. Our family has grown up with a love of the outdoors, trapping, hunting and helping other people with their critter problems. Many companies use a technique involving one-way doors to remove nuisance animals from buildings. The method (called exclusion) does work and we do employ the use of these one-way doors in certain instances. Quite often nuisance animals will do extreme damage in order to get back into buildings and trapping is required. A lot of newer, fly-by-night companies do not use trapping methods to remove the problem animals in conjunction with proper seal up of potential entry areas. Make sure the company you hire is fully licensed, insured, carries WSIB and has the ability to legally and ethically trap and remove nuisance animals from the area if the situation demands it. 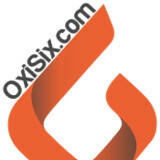 OixSix provides Superior Property Services. As a family owned business we take great pride and care in all our services, satisfaction guaranteed! We are located in Collingwood Ontario, servicing the Greater Simcoe County. We are expanding our service area ever year! When you choose OxiSix you are connecting locally. Why call multiple companies to take care of your property needs when you just need to call OxiSix today! Our Superior Property Services when combined saves you money and time. It is important for our customers to know that each of our technicians is trained in the area of service being provided, and that each separate service is its own business unit with its own management team. Call us today! Mr. Pest Control is a progressive pest control provider and one of the leaders in the industry for solving customer pest problems quickly and safely. 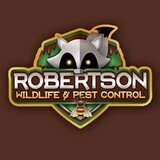 Mr.Pest Control is prepared to handle all of your pest control needs and stand behind our service. There is a reason local readers helped Mr. Pest Control win 2009 Readers Choice Award Winner status! We specialize in residential and commercial pest control. Let us customize an efficient, cost effective program for your business or help you get your residence pest-free with our GUARANTEED service. We also handle Bird Control, Animal Control and Odour Control situations. 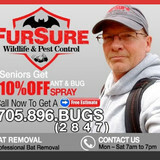 Help Pest Control was founded in 1984 in eastern Ontario, by J.Louis Howe. Since the very start, we have specialized in offering residential, commercial, marina and corporate pest control services. We have consulted on a number of projects for the Ministries of Education and Natural Resources. We are fully licensed, insured and ready to serve your needs! How We Are Different: No billboards, only small Yellow Page ads. No fancy fleet of trucks. We keep our expenses low and pass the savings on to you. We are the busiest company in the area because we don’t overcharge and we honour our warranties. Our technicians spend the time with you to ensure that you are happy with your service and answer all your questions. Ask your neighbours about us…our technicians are your neighbours.. and we take care of our friends. We have been in this business for almost 30 years, full time, year round not seasonal. Industry Leaders Our pest control business may be small in comparison to large franchised pest control companies, however, we have always been and will continue to be the top pest control service provider within our operating areas! Our small size has allowed for steady growth, excellent customer service and quality pest control work. From the very beginning, our focus has been on keeping our customers safe. We understand that pests are a nuisance and that their presence can be frightening. That’s why our technicians work: fast, efficient and with complete control to ensure that the job is finished correctly during the treatment process.